"How great it is to be small!" 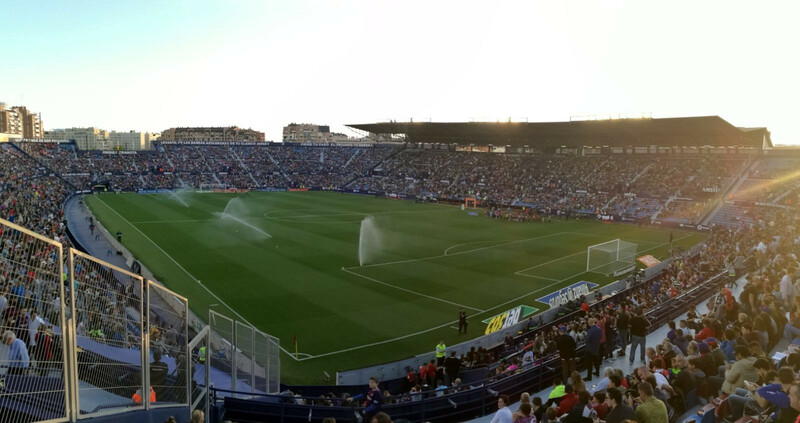 Levante UD is set to celebrate the club's 110th anniversary during the second half of this LaLiga campaign, and for nearly half of its history, the Ciutat de València Stadium has been its home. The ground faithfully mirrors the club’s character and its supporters, as reflected by the various messages displayed on the stadium's stands: Qué grande es ser pequeño (“How great it is to be small”), En las barras azulgranas de tu clásico jersey (“On the blue and scarlet stripes of your iconic shirt”) and the mosaic on the seats of the stand to the side of the players' tunnel which depicts a Granota ('frog' in Valencian, the language spoken in the region along with Spanish). The Granota is one of the club's emblems for a particularly curious reason; the proximity of the club’s former stadium to the city's Túria river soon saw the team come to be known as the Granotas thanks to the large number of frogs that could be heard while the team played their games. Any talk of animals and the city of Valencia simply wouldn't be complete without a mention of the bat which crowns the Levante crest and, given its status as one of the symbols of the city, also features on the badge of cross-city foes Valencia CF. The two clubs honour the bat, which, as legend has it, woke a sleeping king in the middle of the night to warn him of the imminent arrival of enemy troops by sounding a drum. As with all such tales we'll never know for certain whether it is true or not, but one thing that we can testify to is that when the sides lock horns in the city's derby, the sound of drums reverberates around the Ciutat de València as thousands of pieces of blue and scarlet paper are released into the sky. Despite the obvious rivalry involved in such encounters, the Derbi del Túria sees both sets of supporters enjoy watching their team as they revel in the whole spectacle in a spirit of brotherhood (germanor in Valencian), creating an atmosphere that football fans spend their days dreaming of. It is precisely the pride in being a small club that is brimming with history and boasts strong ties to the city of Valencia that makes Levante and their fan base so very special. The Mai ens rendirem (“We'll never surrender”) motto emblazoned above the Ciutat de València stands represents a philosophy that oozes from every corner of a stadium that is home to a side which offers living proof that small clubs are capable of achieving big things. Whilst being a modest club doesn't guarantee you goals, it certainly gets the fans on side, as reflected by the statistic that nearly 50% of the club's more than 20,000 season-ticket holders didn't miss a single game last season. 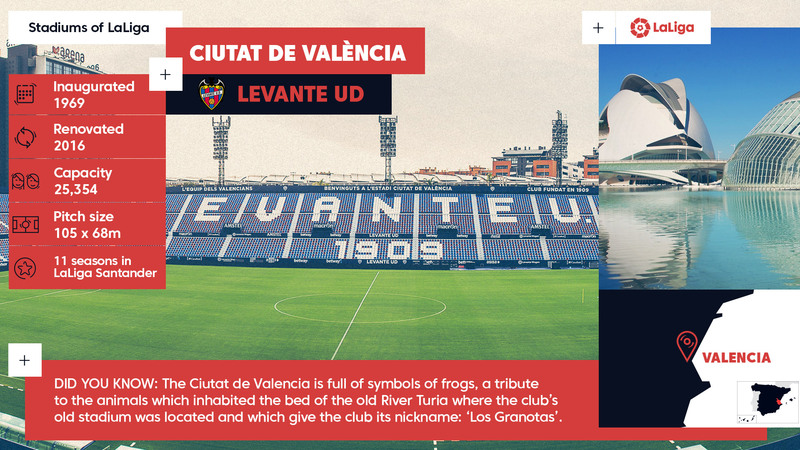 The Ciutat de Valencia is full of symbols of frogs, a tribute to the animals which inhabited the bed of the old River Turia, the location of the club's old stadium!